I am proud to have Chaired Erewash Constituency Labour party over the last year. We may have Conservatives running our Borough Council, our County Council and representing us in Parliament but it is Labour locally who are standing up for local people and local services. We campaigned to stop the closure of Hazelwood, the last local authority care home in Ilkeston. We campaigned to stop bed closures at Ilkeston Community Hospital. We have empowered people by showing them that when we work together we can change things. But we have to keep fighting because the Tory Government cuts keep coming. We continue to demonstrate what a fantastic campaigning CLP we are and are out knocking on doors every week. Our canvassing has been supported by visits from the trade union and Labour party liaison organisation, our regional board, Police and Crime Commissioner, Hardyal Dhindsa, and Rory Palmer MEP. We produced and distributed several leaflets as well as national Labour party leaflets. Our petition against NHS cuts got over a thousand signatures. The petition we supported on Hazelwood got over 3,000 signatures locally and we supported the petition in library cuts in Derbyshire. 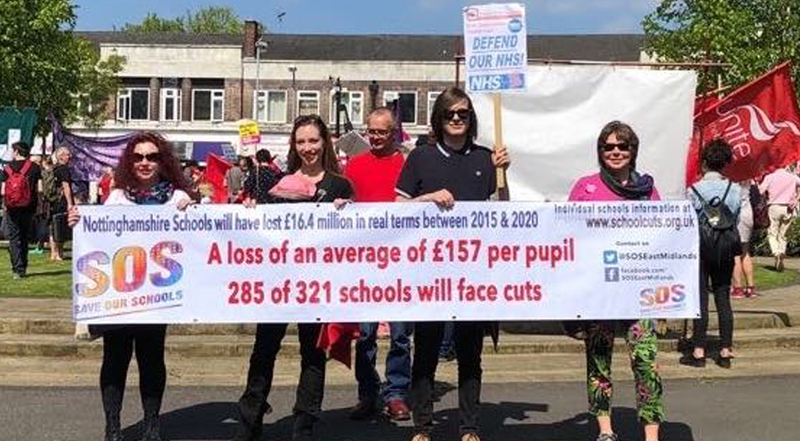 We have been seen campaigning against school cuts at schools across the constituency. We have had frequent street stalls in our town centres but have also had stalls at Long Eaton Carnival, Kirk Hallam Lakeside Festival and Meadows Festival and joint stall with Broxtowe Labour at Stapleford Carnival. 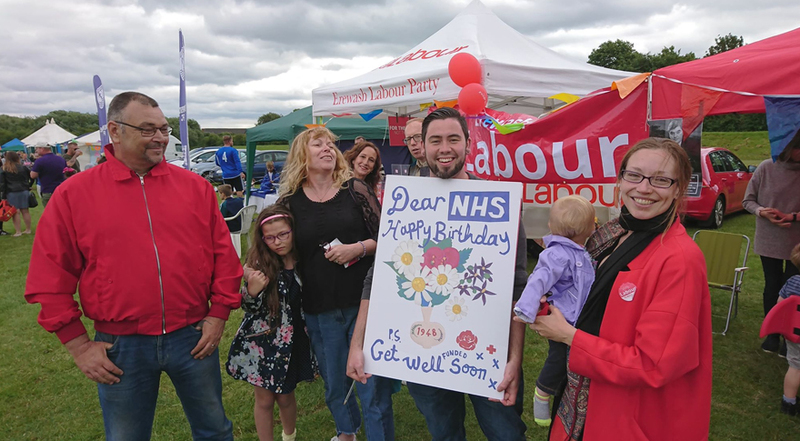 We got nearly a thousand people signing our birthday card to the NHS which we delivered to staff at Ilkeston community hospital. and politics evenings, outings to plays, policy discussions including democracy review discussions, an event with Ruth Smeeth MP and a new Facebook page. 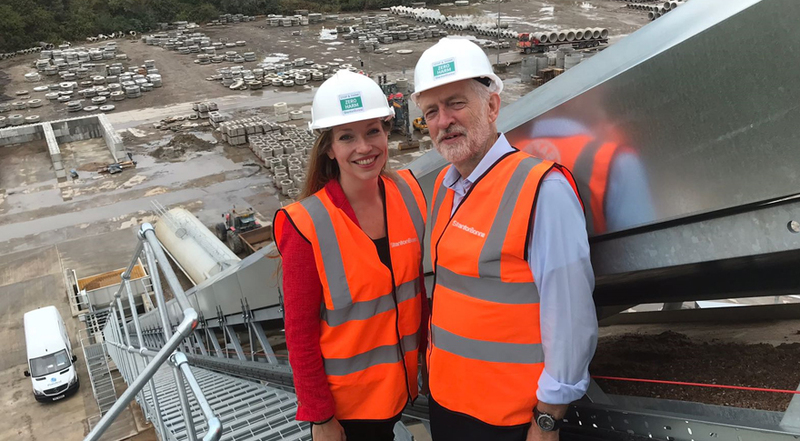 Jeremy Corbyn came to visit Erewash again and had a tour of Stanton Bonna. Jeremy at that event and again at Labour Party conference promised that he would return to Erewash for a members event so hopefully we will all see him in 2019. We welcome our part time organiser Tony Short who started earlier this month and has already contributed to campaign training last week. With nearly a full slate of Borough Council candidates in place we have succeeded in getting candidates in place early. We have achieved a lot but there is a lot more to. 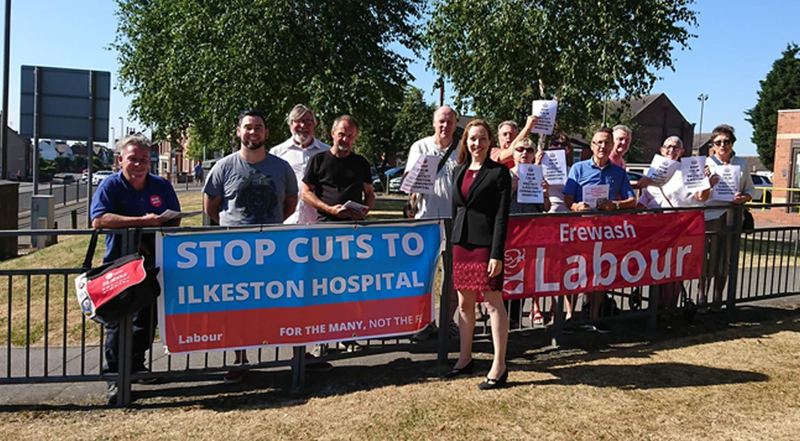 Blog post published by Catherine Atkinson in her capacity as Erewash Labour constituency chair.